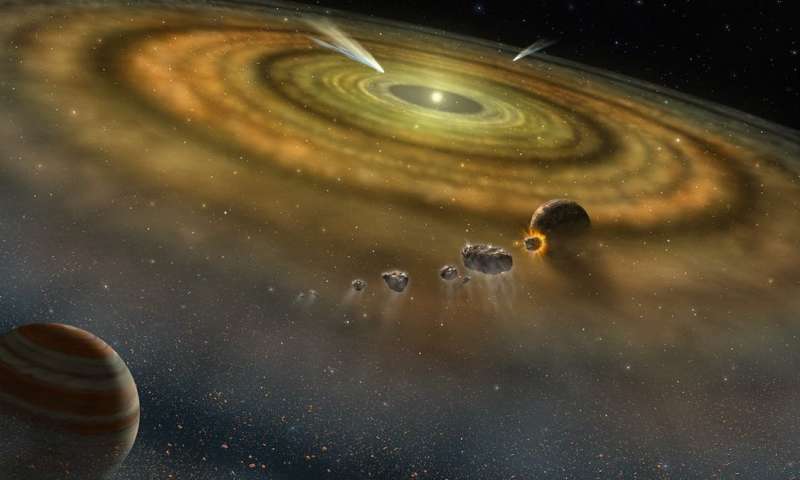 Artist’s illustration of planet formation. 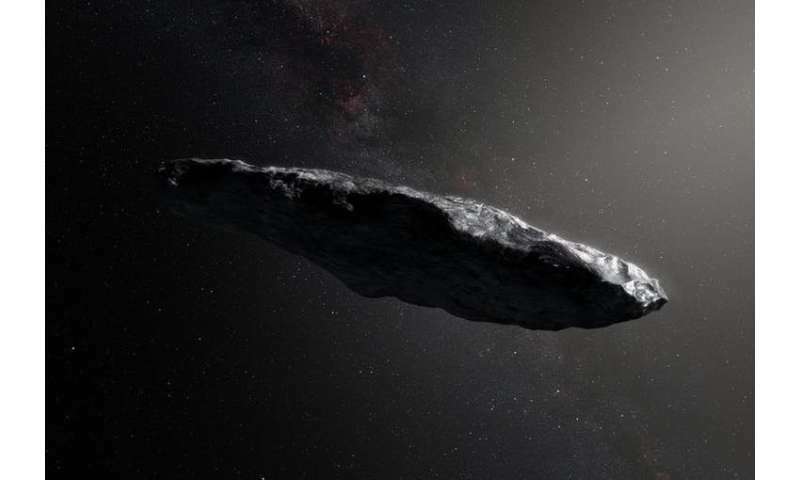 'Oumuamua is extremely elongated and has quite a different shape from other objects in our solar system. It was probably formed by a relatively high-energy process such as a collision, or ejected from a forming star.